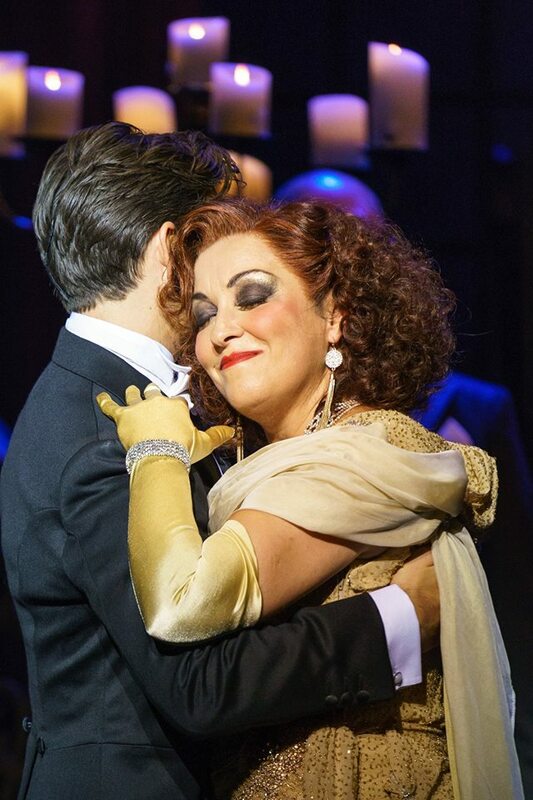 Review: Sunset Boulevard. Curve Theatre. Leicester. (then touring) – East Midlands Theatre. 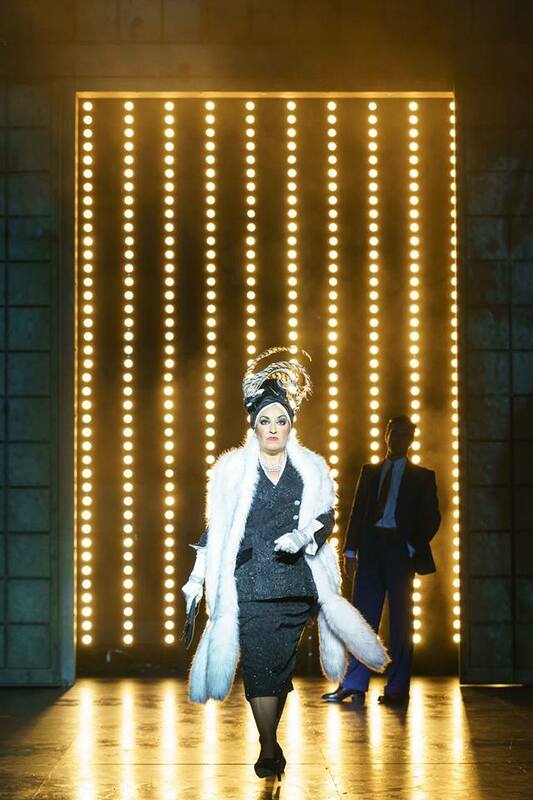 Sunset Boulevard is the biggest musical theatre show to hit the main stage at Curve Theatre Leicester. There is a lot invested in this show as it is about to embark on a major national UK tour and the investment shows – big time. 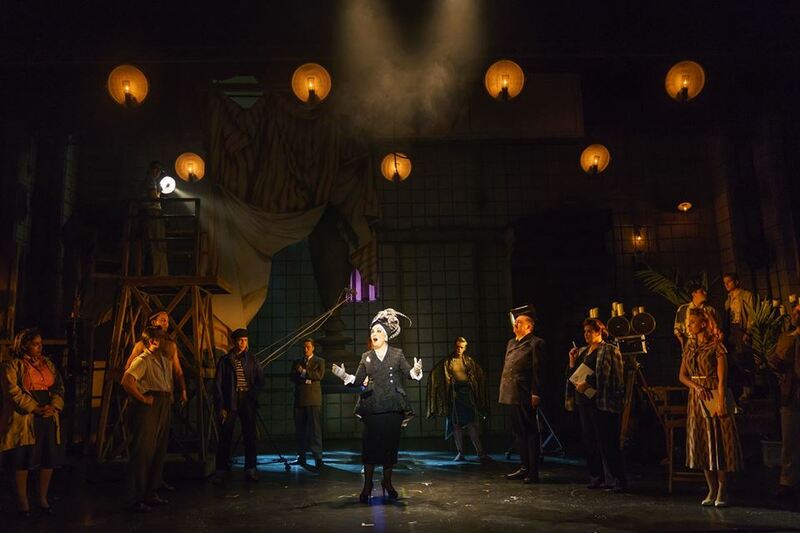 With some genius direction from Curve’s artistic director, Nikolai Foster, Sunset Boulevard is a total cinematic smash hit on all fronts. 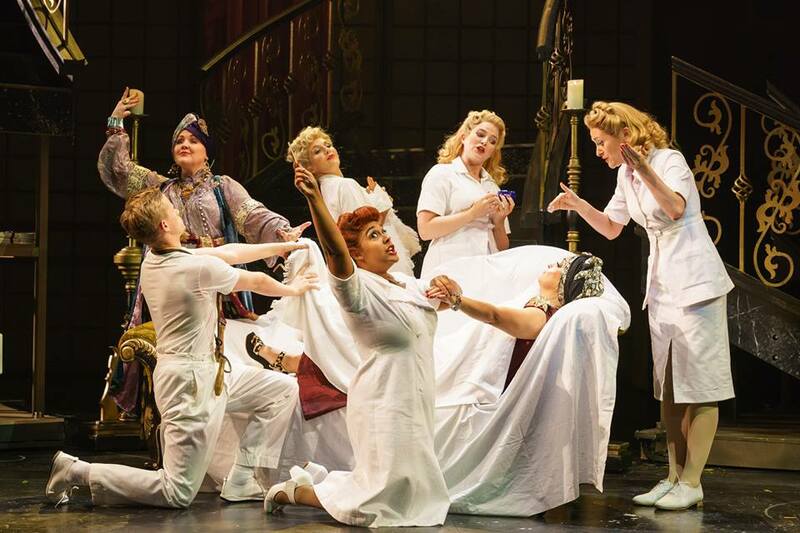 The orchestra is superb and thrills us with Andrew Lloyd Webber’s soul tingling score full of musical surprises and leitmotif reprises that subtly cement, into our heads and hearts, the deeply emotional musical numbers. The whole Sunset Boulevard score, and the Curve orchestra’s playing of it, is hauntingly brilliant and realised by musical team Adrian Kirk and Stephen Brooker. The book and lyrics by Don Black and Christopher Hampton are pure musical theatre perfection blending a dynamic mix of dramatic text and sung through material. 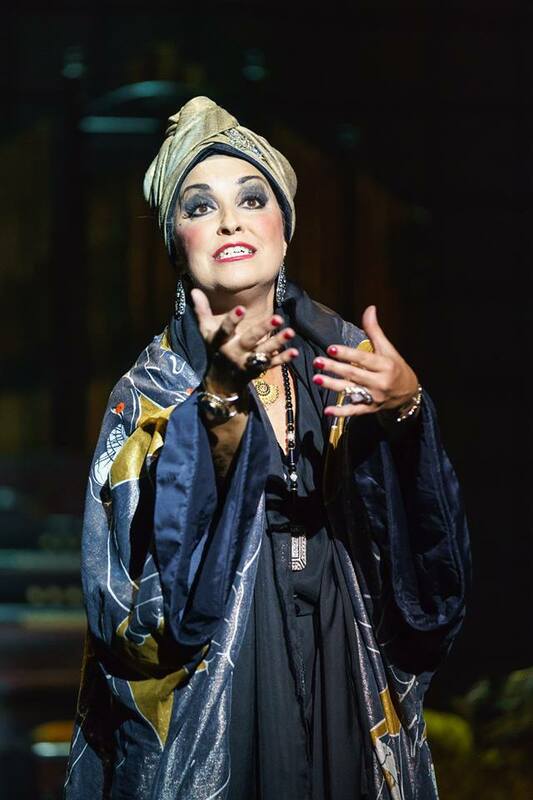 Ria Jones as Norma Desmond. The Made At Curve set is a marvel of Hollywood film making recreated. Full of various facades it twists and turns dramatically in time with the ever deepening plot. The brilliant costumes are to die for especially those designed for characters Norman Desmond and Joe Gillis. 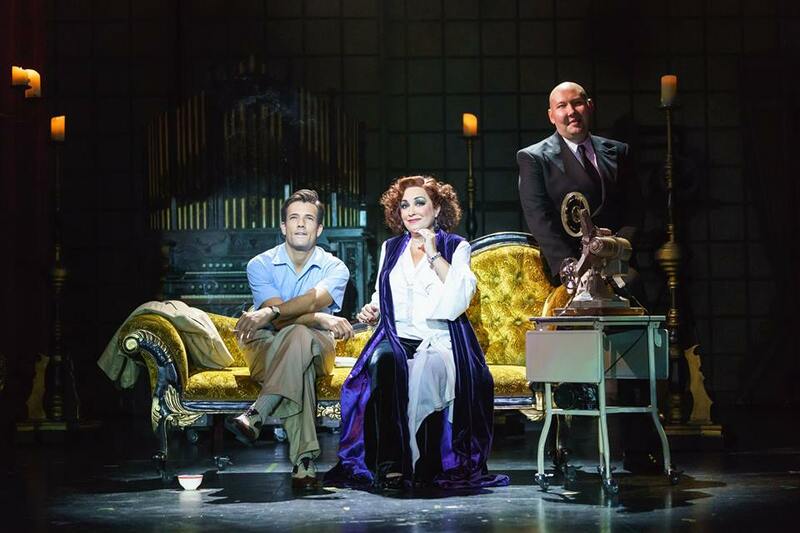 The set and costume design for Sunset Boulevard are by the creative talent of Colin Richmond. 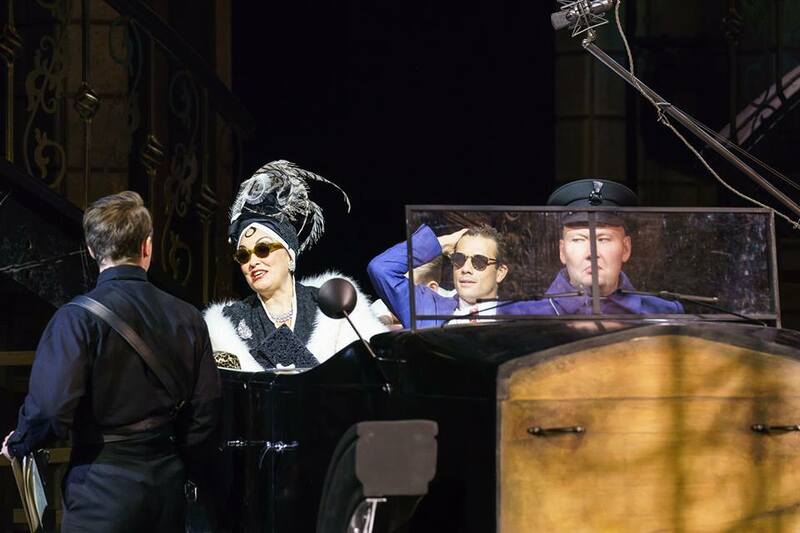 Curve’s Sunset Boulevard will make your perfect – theatre going- year. Starting on Paramount Studio’s set 18 the visual journey of Sunset Boulevard uses a constantly dramatic kaleidoscope of major props namely; the imposing gated entrance to Paramount Studios and a giant Grand Guignol staircase with golden guttering candle lights at Norma Desmond’s faded mansion. Additionally, there appears a busy street bar/diner where the actors and screen writers drink and make their urgent 1949/50 film industry connections. This fabricated and allusive Hollywood world is also a place of illusion and disillusion. New and old careers are being made and broken with the relatively recent advent of the ‘talkie’. The world of silent film is over as an entertainment medium, as is the working life of former silent movie star, Norman Desmond, now a bitter semi recluse in her once fabulous mansion. 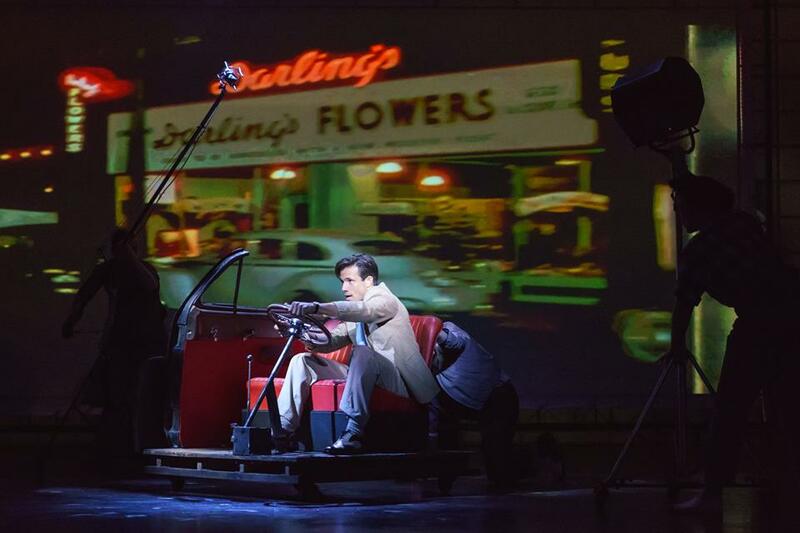 As well as Nikolai Foster’s ultra fluid direction, one of the major contributions to the veritable success of this fabulous production, is the work of video and projection designer Douglas O’Connell. O’Connell’s ingenious use of projection throughout takes us swiftly from location to location; from dramatically executed faux car chases to a homicide in a swimming pool and mainly, to the shadowy flickering memories of Norman Desmond in her heyday. The latter cascade about the entire stage as if in their own ghostly Joan of Arc reverie. Ria Jones is totally superb in her, long overdue starring role, that of the faded, and mostly forgotten, silent film star Norma Desmond. Jones wrings every emotional note out of her songs and part. Notwithstanding, her stellar renditions of ‘With One Look’, ‘The Perfect Year’, ‘As If We Never Said Goodbye’ and ‘New Ways To Dream’ are done to perfection with every phrase and sentiment spot on. Ria Jones shows great art in her character’s artifice. Her, in depth, playing of Norman Desmond treads the perfect line of vulnerability and the guileful ability to manipulate her dwindling potential to be a star again. 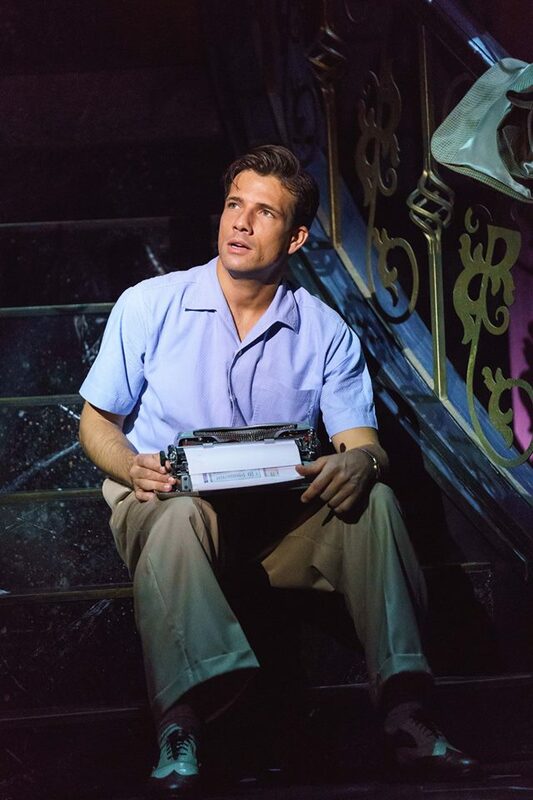 That flimsy chance comes through her fateful meeting with down-on-his-luck writer Joe Gillis played by Danny Mac. 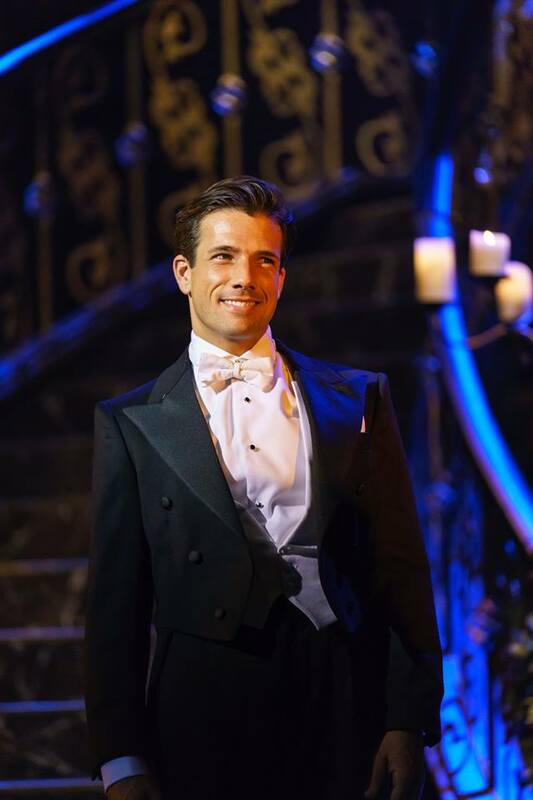 Danny Mac shines as Joe Gillis. Gillis is a poor screenwriter and journalist constantly on the run through debts. Plus he is in fear of his life from his murderous pursuers. 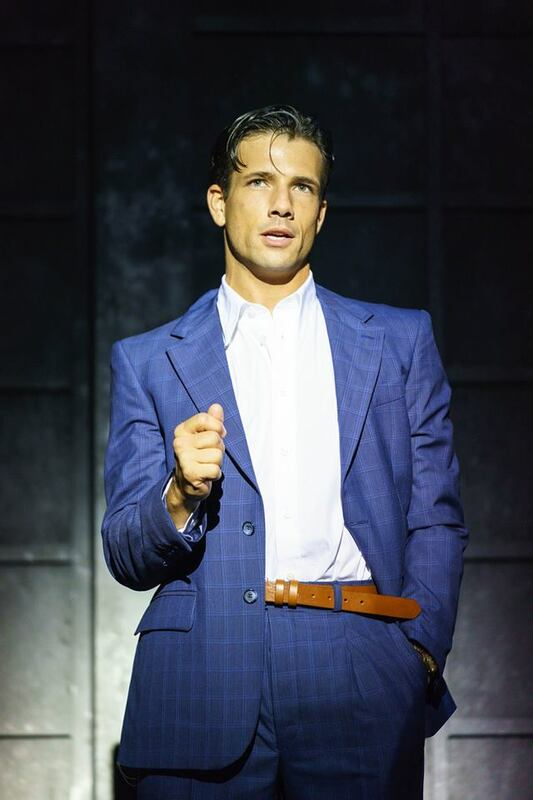 As the musical opens we instantly feel confident in Danny Mac’s hands. The audience can relax knowing they are in for a top class performance. 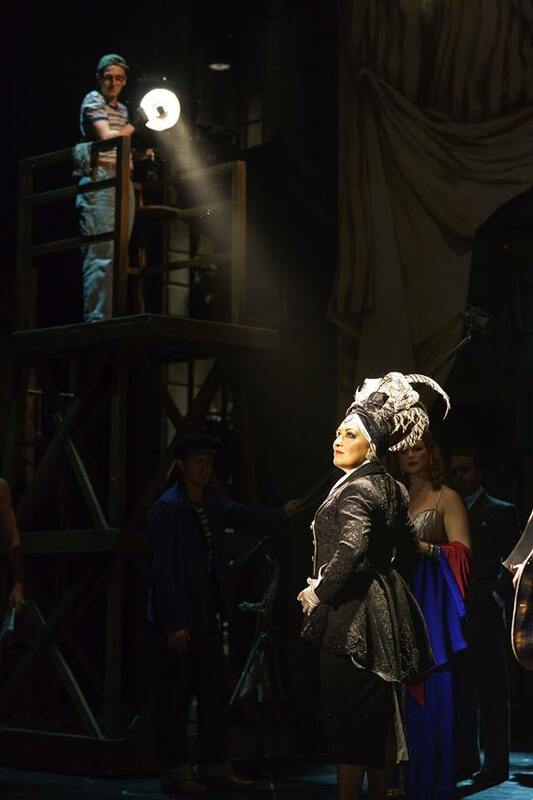 The songs aren’t easy to sing in Andrew Lloyd Webber’s and David Cullen’s musical version of Sunset Boulevard. Not easy at all. 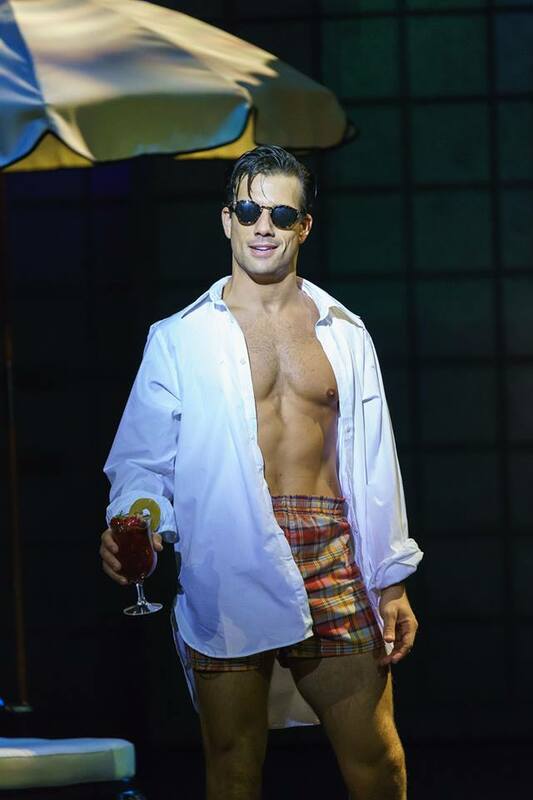 Yet through Danny Mac’s confident and mesmeric handling of the opening number ‘Let Me Take You Back’ and ever onward through the entire show, via the title number ‘Sunset Boulevard’, he is on to a winner. Mac’s relationship with Jones’ Norma is instantly believable as the pair start to manipulate each other for monetary and creative gains. One imagines that Norma Desmond has never heard the axiom that “You can’t buy love.” as she showers him with expensive gifts and clothes. Bitter and twisted never looked or sounded so good on stage as this pairing does. And yet there is a kind of creepy, paranoid older woman – attractive young man – love growing between Desmond and Gillis that feeds on their base values and mutually high emotional and financial stakes. At times the tragic elements of – batty star and star struck – romance is almost like that of Lloyd Webber’s earlier work, Phantom Of The Opera, except the sexes are reversed. It is a large, hard working and talented ensemble in this Made At Curve production. Every one of them put in tons of energy and character commitment to the piece to create a seamless piece of fine musical theatre. 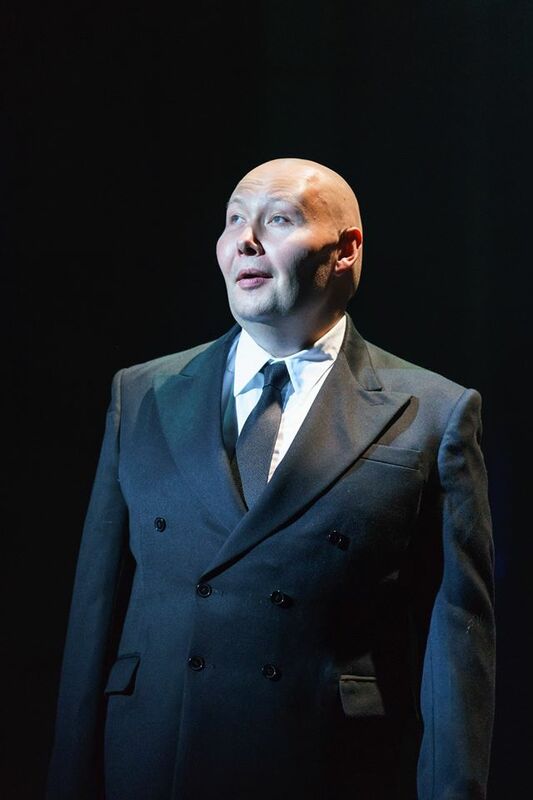 Adam Pearce stands out as Norma Desmond’s totally dedicated butler Max Von Meyerling. Pearce has deep vocal tones and an impressive stage presence. He practically rules the roost at 10086 Sunset Boulevard. His defensive song ‘She Was The Greatest Star Of All’ still echoes in the mind long after its sublime rendition. No doubt it will reside in the audience’s heads all the way home after the show and sit there for days afterwards! Just like all the other songs in the show. Sunset Boulevard is about romance, albeit a rather sad, disturbing and tragic version of romance. Yet in the midst of this Gothic inspired musical theatre tale shines out a beam of true romantic hope. This hope is in the intelligent, plucky and winsome personality of writer Betty Schaefer played by the talented Molly Lynch. 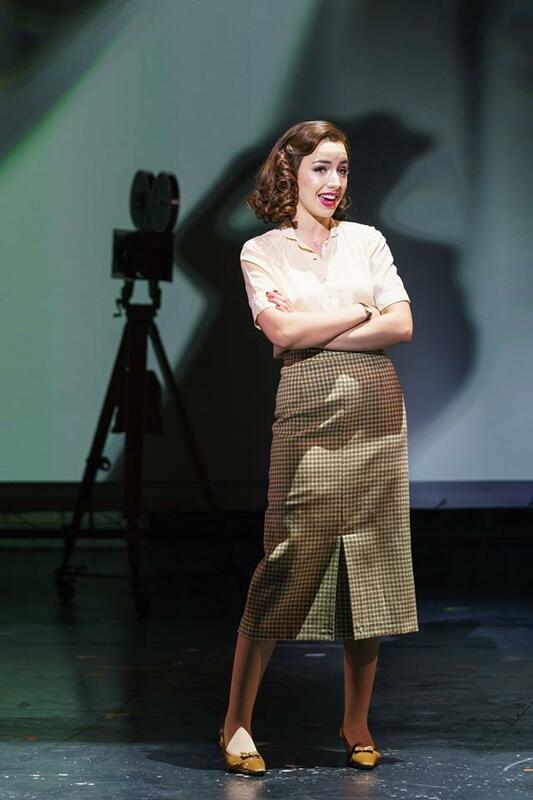 Lynch is superb as Betty as she brings out the character’s likeability, strengths and demonstrates her clear singing voice. Betty Schaefer latches on to Joe Gillis as a possible writing partner and is truly tenacious. Although she is engaged to another man, fate moves them closer together romantically. Once discovered, this romance further fuels the über jealous feelings of the increasingly demented and paranoid Norma Desmond. 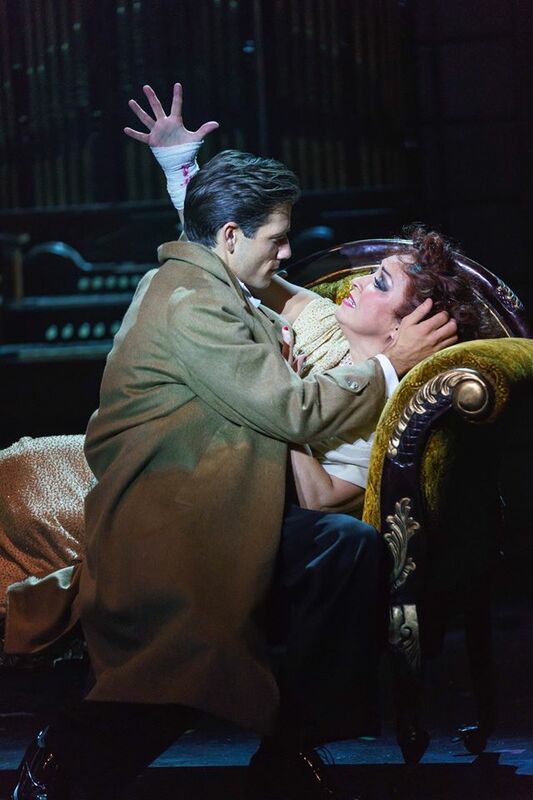 It is a perfect example of the classic tale of the younger, prettier woman aiming to take Norma’s ‘man’ away from her even though the strong likelihood is that Joe Gillis is just using Norma Desmond. If you haven’t seen the show this reviewer won’t spoil the end for you. 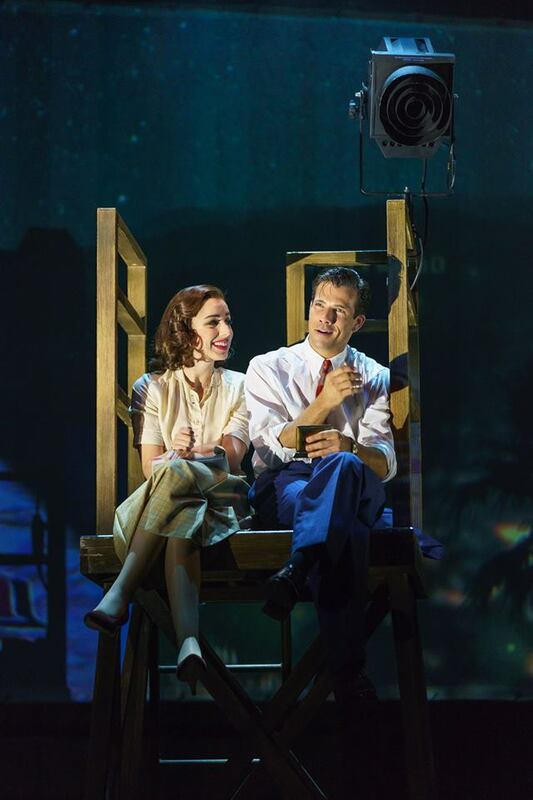 Well, phew and by golly, after this ‘perfect evening’ at Curve Theatre you readers may feel this reviewer has gushed more than broken drainpipe in a crazy wet downpour. However, I tell you now that this superb production just has to be seen and thoroughly enjoyed. You will not regret it for one moment. Go on do it! Just ‘With One Look’ check out the booking link below. After Sept 30th it leaves Leicester to visit twenty further, rather lucky, venues across the UK until April 28th 2018. See this link for tour details. saw the show, it’s wonderful…………lighting effects adds a brilliant addition. Have not seen anything better on stage……wow…..wow……..so good to know. Adam Penford, New Artistic Director of Nottingham Playhouse chats to East Midlands Theatre about the 2018 season and his directorial influences.